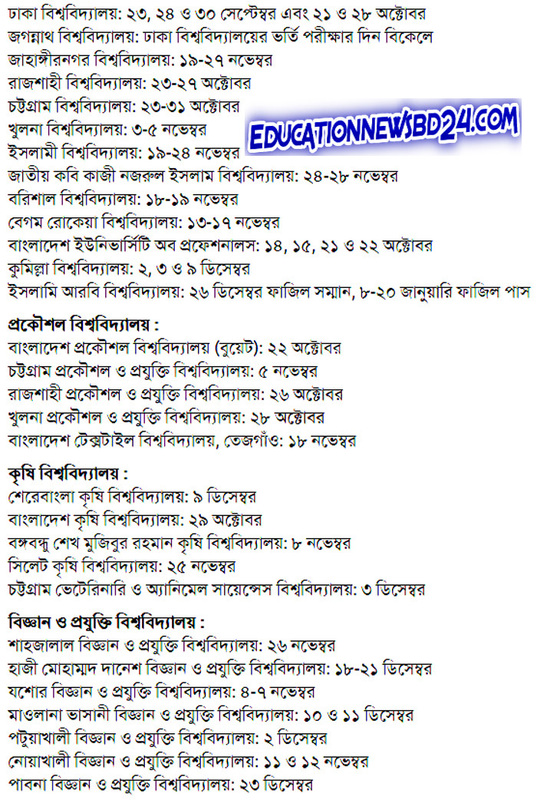 Bangladesh Agricultural University Admission Circular 2016-17. Bangladesh Agricultural University Admission Apply Online 2016-17. Application starting from 07 September and ending on 06 October 2016. Bangladesh academic public universities admission organization’s Vice Chancellors’ Council has fixed All Public University Admission Schedule 2016-17. Bangladesh Agricultural University (BAU) is the leading seat of higher agricultural education and research in the country. The main duty of the university is to tone up the quality and standard of higher agricultural education and to produce first-rate agriculturists, agricultural scientists, and researchers for shouldering the responsibilities of agricultural development of the country. The missions of the university have been to develop the art and science of agriculture for the well being of mankind, and to educate agriculturists of high standards of scientific, managerial and professional fitness in harmony with the environment, and to share knowledge and skills with world associates.